Why do you have a problem with Elizabeth being likeable? Thanks for stopping by! I don’t have a problem with Elizabeth being more likable so much as I have issues with the new series simplifying the character for apparently no other reason than to make her more likable. I’m a lover of the books, first and foremost, and Graham’s Elizabeth is a complicated, greyer, and more complex figure than Poldark 2015 presents her as being. She’s a good woman, overall: refined, gracious, ladylike, and mostly tolerant and fair-minded. But she’s also very conventional, conservative, somewhat limited in her social views, occasionally self-absorbed, and a bit vain about her looks. She’s been raised in the expectation that her beauty and breeding will secure her a husband who will take care of her and provide her with the finer things in life: an honorable name, a high social position, and a handsome home. She would dearly love to move in more exalted circles than provincial Cornwall provides–like London or even Bath. None of which are terrible things to want, and I’m open to a more nuanced depiction of the character than the 1975 series sometimes provided (though Jill Townsend looked and sounded the part far better than Heida Reed). But for me, the new series turning Elizabeth into this nice, sweet girl who was pressured by her mother into marrying Francis when she really wanted Ross, and then does all these saintly things like making over her own ball gowns to spare her husband’s pride and visiting her sick rival after the latter saves her child (which never happened in the book) does a disservice to Graham’s more layered creation. His Elizabeth made it clear that Francis was her choice and that she considered hers and Ross’s to be a “boy and girl” attachment. It’s not necessary to make Elizabeth so much better than she is in the source material, any more than it’s necessary to make Francis worse. Graham had a firm handle on both characters, their virtues and their flaws, and I wish the screenwriters would respect his vision more instead of recasting it in such black and white terms. 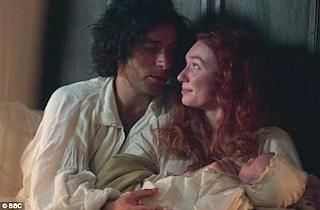 I disliked the 1975 series’ attempt to transform Elizabeth into some kind of one-note villainess who stood in the way of Ross and Demelza’s happiness. I found that so infantile. And I really felt sorry for Jill Townsend, who was forced to portray Elizabeth in that manner, despite her best efforts to portray the character as complex as possible. At least the book was willing to portray Elizabeth as a complex woman, who was both pragmatic and very internalized. At least Heida Reed seemed to fare better, thanks to Debbie Horsfield’s attempt to allow audiences to get to know Elizabeth better. Also, the 1975 series used parental pressure as an excuse why Elizabeth had decided to go ahead and marry Francis. By the way, I don’t consider Kyle Soller’s portrayal of Francis as “black-and-white”. People seemed to forget that these first two books – especially “Demelza” portrayed Francis at his lowest. 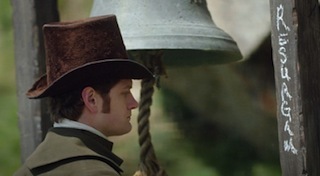 He doesn’t become more likable until “Jeremy Poldark”, which will be adapted in the upcoming Series 2. While parental pressure may have been one factor in Elizabeth’s decision to marry Francis, the novels made it clear that she did believe at the time that Francis was the better matrimonial choice. And I agree that Graham’s Elizabeth is much more complex than either TV incarnation. She is admirable in some ways, flawed in others. What I do think 1975 series got right is the sense of entitlement Elizabeth sometimes displays as an acknowledged beauty–she expects to be admired, cherished, and celebrated because of her extraordinary looks. She would love to go to London or Bath to receive the admiration she feels is her due, and she does get sullen and discontented when that doesn’t happen. I do think the 1977 series does a better job with Elizabeth, and Jill Townsend was able to show more of the character’s depth (beautiful speaking voice, by the way, and I thought so even when Elizabeth was at her least likable). You do see her more sympathetic traits more clearly, and she proves to be a devoted and formidable mother. Her love for Geoffrey Charles and Valentine is her defining trait–I honestly believe that she loves them better than she loves herself. Personally, I’m not charmed by Heida Reed’s Elizabeth, because I don’t recognize this rather bland, sweet “nice girl” as Graham’s character and I don’t think Graham would, either. And don’t even get me started on the new series’ concept of George Warleggan. We’ll have to agree to disagree on KS’s Francis. 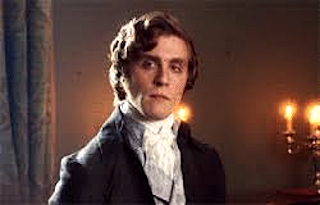 Yes, in the first two books, Francis shows plenty of weaknesses as a husband and a businessman, but he had his moments of wit and charm too, and I feel Poldark 2015 makes his faults more glaring than they need to be. Losing Grambler in a card game, for example. That doesn’t happen in the novels–Grambler closes due to lack of accessible lodes and insufficient funds to unwater the mine to look for more. The only reason it seems to happen in the new series is to show what a loser Francis is and how pathetic and irresponsible when compared to Ross. It’s about as subtle as a “Goofus and Gallant” comic strip. I feel sorry for KS having to play someone who goes through most of the series looking either like a kicked puppy or a petulant child. I am going to hope that the character and actor get more of a chance to shine because Francis’s redemptive arc in Book 3 is so memorable and CF knocked it out of the park in 1he 1975 series. Thank you for stopping by. I always enjoy discussing Poldark in its various forms. Elizabeth fared better in the 1977 series, because Winston Graham had a hand in the production, unlike the 1975 series. I have no problem with Heida Reed’s portrayal of Elizabeth. I noticed that she is trying to be as likable as possible, but I can see that the strain of Francis’ hostility and her own regret is slowly becoming obvious. Ross will make it even difficult for her in the second series . . . if Debbie Horsfield allows this to happen. I understand that Graham was more involved in the second series–he wrote about his experiences fairly extensively in Poldark’s Cornwall. I personally prefer the 2nd series myself for all the reasons I’ve previously stated. I’m not sold on HR’s Elizabeth. While I’m not opposed to a more nuanced portrayal of the character, I’d prefer to see her flaws–vanity, self-absorption, indecisiveness, self-entitlement–acknowledged rather than glossed over or another character (Francis) further vilified to make her appear more of a victim. Francis and Elizabeth both bear the blame for the failure of their marriage, and it feels like lazy, shallow writing to make Francis the sole culprit. It sounds as if you wanted the story regarding Elizabeth and George to be rushed. Trust me . . . Debbie Horsfield didn’t drop the ball. Not by a long shot. Which I am sure you must have discovered by the end of Episode 8. Graham himself made George’s attraction to Elizabeth obvious in Book One(! )–even before the Christmas visit at Trenwith. Since Horsfield, et al, claim to be more faithful to the novels, I was naturally expecting them to follow Graham’s lead on that. Instead, there wasn’t even a scintilla of interest from George toward Elizabeth in Episode 4, which seemed like a baffling choice. He seemed more concerned with slinking around after Francis and Ross, dripping poison in their ears. 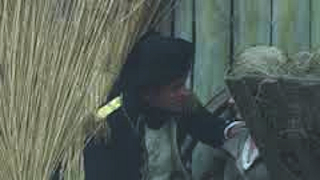 And by the time the new writers started showing George eyeing Elizabeth in Episode 6, it came across almost as an afterthought. And I frankly cringed over the ham-handed pass he made at her in Episode 8. It wasn’t just clumsy, it was stupid. Graham’s George was shrewd enough to play his cards close to the chest and not let Elizabeth see how much he wanted her. Readers knew what he was after, but Elizabeth didn’t. She saw only a friend who admired her and who brought her son–his godson–gifts. Anyway, I freely admit to not liking the new series’ take on George at all. 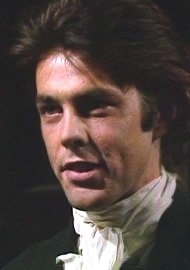 Every time Farthing minces onscreen looking posher than posh, I want to gather up all my copies of the Poldark saga–all 12 volumes, hardcover, paperback, and even video–and throw them at Horsfield and the casting director for perpetrating such a blunder!